Thailand's JP Toys continues its string of exciting exclusives with several rainbow-hued soft vinyl toys from China's Litor's Work. 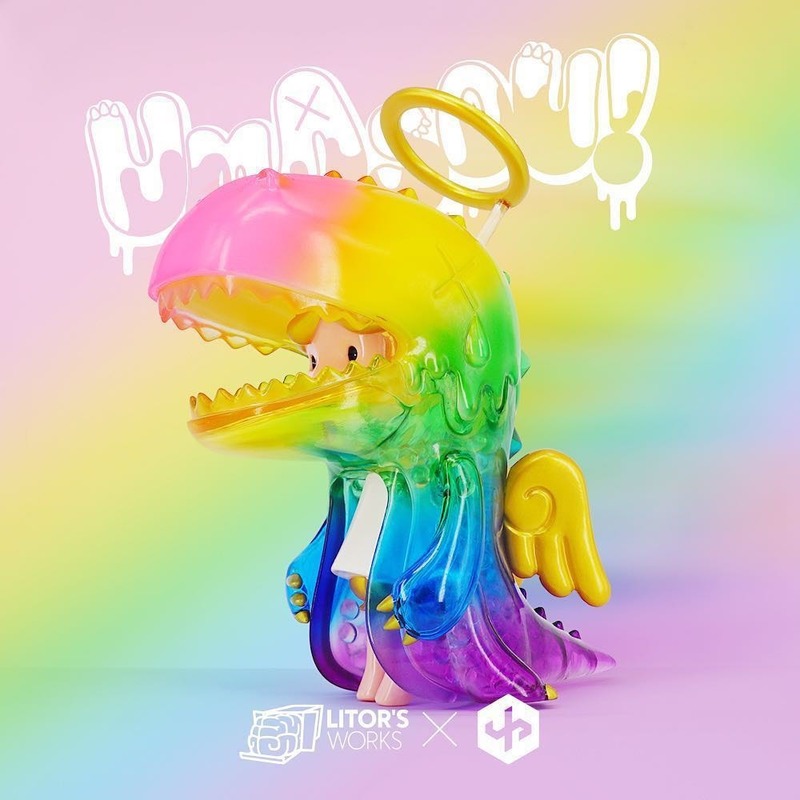 First up is Angel Umasou which features a rainbow edition of the angelic variant of the very popular girl+dino figure. Limited to 50 pieces, Angel Umasou will be available for 2700 baht (~$85) via a form-based lottery on the JP Toys Facebook page on Friday (2.15) at 8:30 PM - 9:30 PM PST. 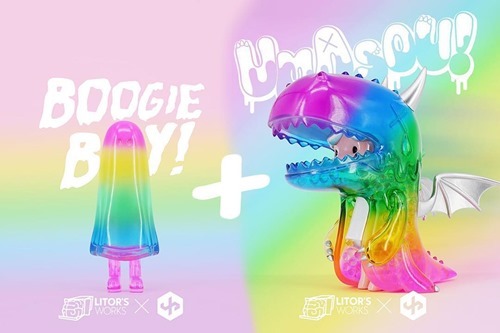 JP Toys will also release the Devil Umasou + matching rainbow Boogieboy set as part of the same lottery. The set is limited to 50 sets and will be available for 3600 baht (~$115).